On the second day of my visit to Hong Kong, one of the top things in Hong Kong to do was to use the famous Star Ferry to the get from Hong Kong island to Kowloon and back. And then get the peak train to visit Victoria Peak. And finally the Temple Street market on the way back to my hotel. 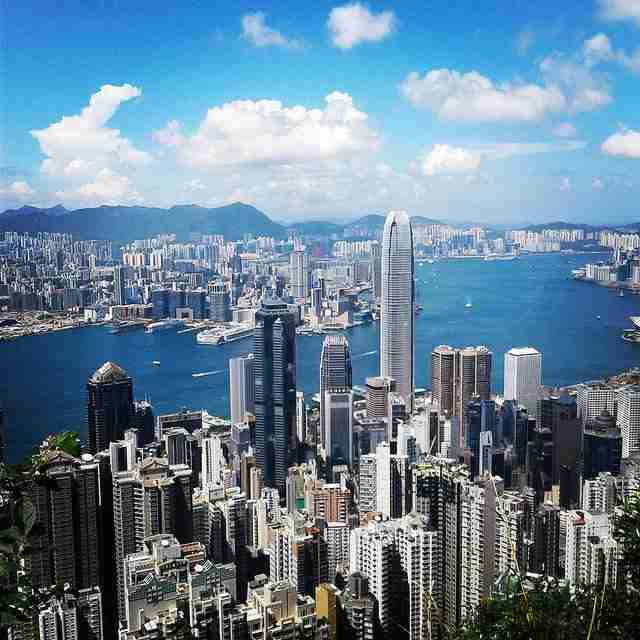 Checkout our travel tips to Hong Kong and out travel guide before going. I got the famous Star Ferry to get between Kowloon (Tsim Sha Tsui) and Hong Kong island, which was convenience and really a bargain at HK$2.50 to use. The Star Ferries generally runs fairly regularly, every 10 to 15 minutes. If you use the Star Ferry at night time, you will see the spectacular view of Hong Kong’s stunning skyline at night. 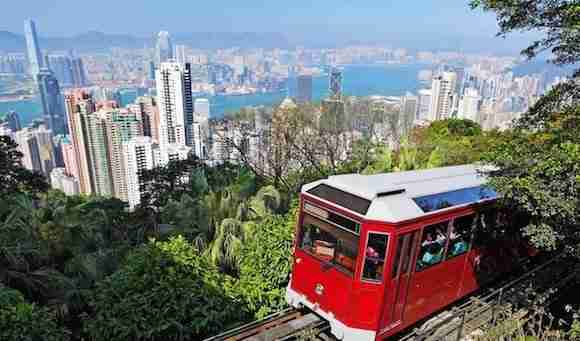 One of Hong Kong tourist attractions is to use the Peak Tram to Victoria Peak to get the best views of HK skyline and skyscrapers. In getting the Peak Tram which costs HK$90 return. But there was a 40 min wait as the queues were long. When getting on the tram and if lucky to get a seat, try and be seated on the right side of the tram while going up. So you can see HK’s skyline. Once on top there is Victoria Peak Tower. 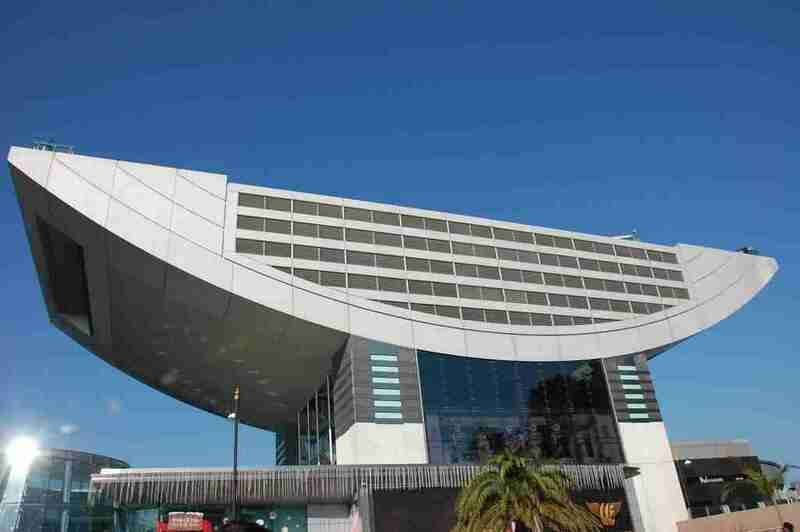 Which is one of Hong Kong landmarks that will give you a full 270 degree view of HK. There is plenty of shops and restaurants on top. And then, Victoria Peak offers the Lugard-Harleck Road Trail. Quite an easy trail to follow but expect to be distracted by the view of skyscrapers and beautiful green mountains. Now it was time to get the Tram by down. On the way back to the hotel, I visited the the Temple Street Market, which seems to be one of the things to do in Hong Kong. 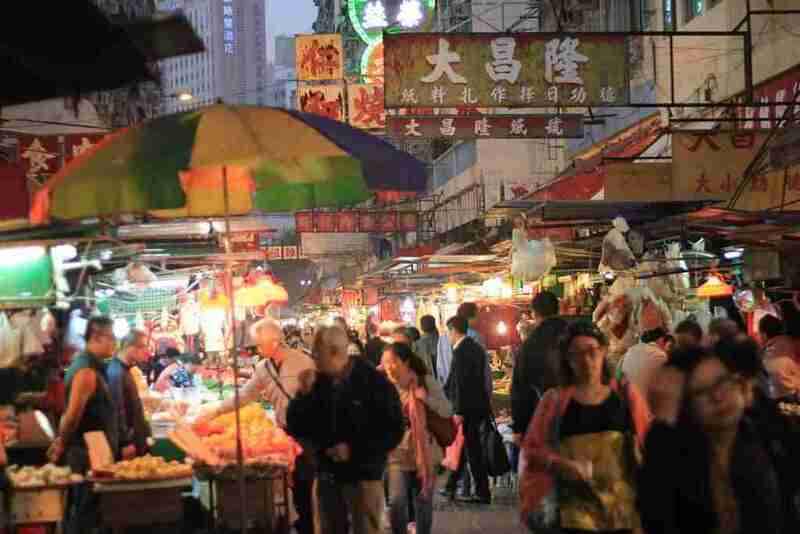 The Temple Street Market is located in Kowloon Island near Nathan Road. The Market starts at 6pm to 12am. With market stalls selling everything from sells clothes, watches, leather goods, DVDs, toys, footwear, artworks, mobiles, purse, valet, bags, ear rings, sunglasses etc. Hope you enjoyed this post about visiting some famous places in Hong Kong. Or if you have any suggestions or need more information about visiting Hong Kong please leave a comment!